A bipartisan group of senators has introduced a bill that would guarantee Americans the right to travel to Cuba. EDITOR’S NOTE: As expected, President Trump announced that he will roll back much of President Obama’s historic opening of engagement with Cuba. However, it’s not too late for your senators to take action! Find out how they can do so below. You can also find out more about the ramifications of this change by reading Peter Kornbluh’s latest article at The Nation. In late May, the conservative media outlet The Daily Caller reported that President Donald Trump was planning to make good on his campaign promise to “terminate” the Obama administration’s opening of engagement with Cuba. Just two and a half years after the United States finally took steps to end more than a half-century of hostility and restrictions on trade and travel, President Trump wants us to go backward. Luckily, there’s some momentum pushing back. Lawmakers in Congress recently reintroduced the Freedom to Travel to Cuba Act (Senate Bill 1287). The bipartisan bill now has 55 cosponsors and would guarantee Americans the right to travel to Cuba. Trump is threatening to undermine years of concerted effort—inside and outside of government—to establish a civil, peaceful coexistence with an island neighbor after more than half a century of intervention, embargoes, and assassination plots. At stake is a model of responsible US foreign policy—to be emulated, not repudiated. 1. The Nation is partnering with the Latin America Working Group to demand that senators cosponsor the Freedom to Travel to Cuba Act. Click here to join us by writing to your senators today. 2. To have an even greater impact, call your senators about the Freedom to Travel to Cuba Act. You can reach them at 202-224-3121 or find their direct numbers here. Follow our script below or craft your own message. SCRIPT: I am calling to urge you to co-sponsor the Freedom to Travel to Cuba Act. Currently co-sponsored by a bipartisan group of fifty-five senators, the bill would guarantee Americans the right to travel to Cuba. Public opinion polls show that 81 percent of Americans support free travel to Cuba. A recent letter to Congress signed by 46 travel agencies stressed the economic benefits of free and increased travel to the country, claiming that it would lead to them hiring more American workers. They also asserted that tightening restrictions on travel, as the Trump administration is threatening to do, would lead to significant layoffs. I hope that you’ll make a commitment to co-sponsoring the Freedom to Travel to Cuba Act. 3. 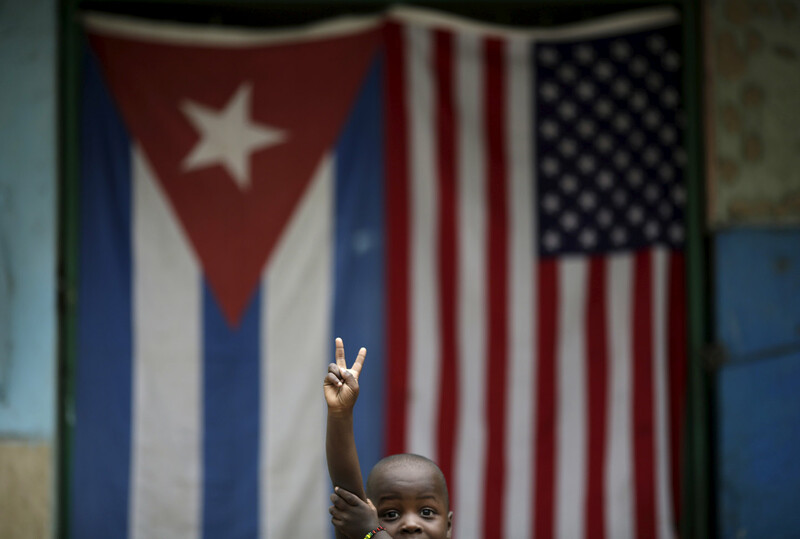 Read and share Peter Kornbluh’s latest at The Nation, “Trump Threatens to Rescind Obama’s Cuba Engagement—and Activists Fight Back.” In it, he cites studies on the economic impact of restricting travel to Cuba and lays out the importance of resisting this wrongheaded change. Already read it? Share the article on Facebook or Twitter.